This 11 page digital exclusive from Archie comics features two short stories all written and illustrated by Archie Comics legends. The two stories are pretty fun and definitely have the Archie Comics digests characteristics. But considering the length, I don’t really know if it is worth the small purchase. 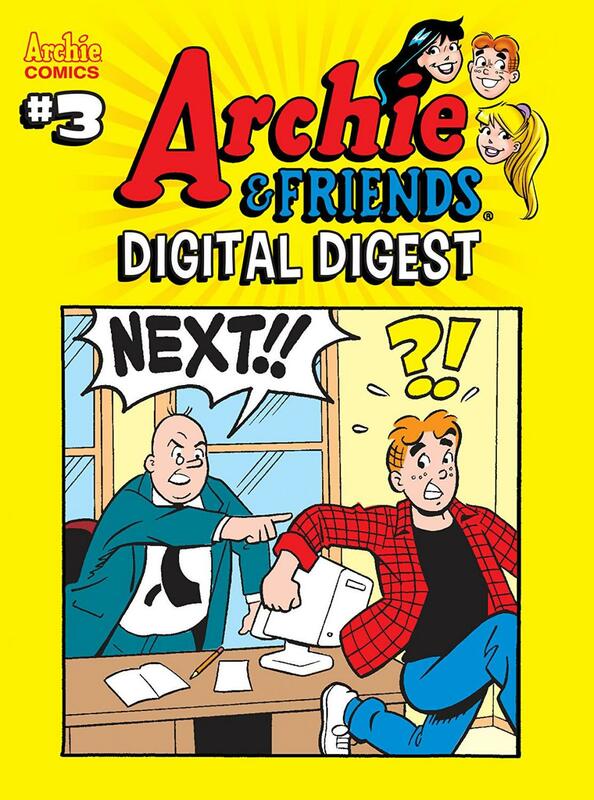 Archie and Friends Digital Digest #3 is the perfect $.99 purchase for Archie Comics fans that couldn’t get enough of the old school digest stories from the several other big digests that Archie releases throughout every month. I prefer the digests over the new ongoing series, but I can get my fill of those digests in the three other long digests that also came out this Wednesday. There isn’t really anything in this little comic book that is worth going out your way to read. But, if you have devoured the other digests and need a tiny bit more, sure, this digital short digest is there for you.